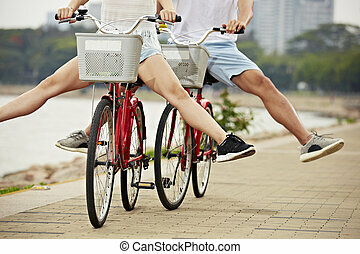 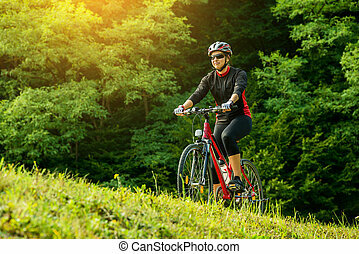 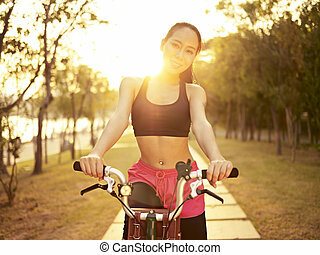 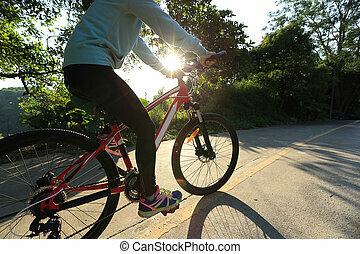 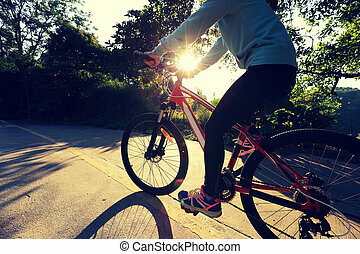 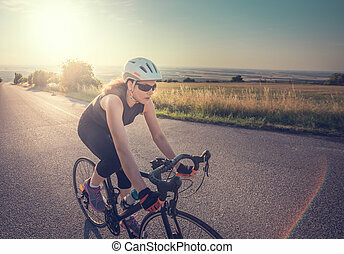 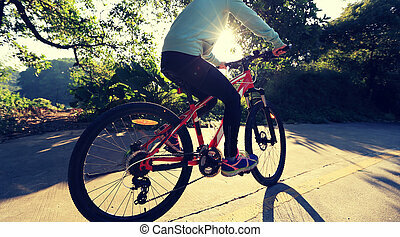 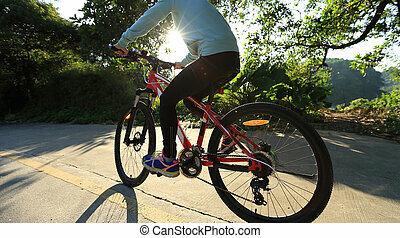 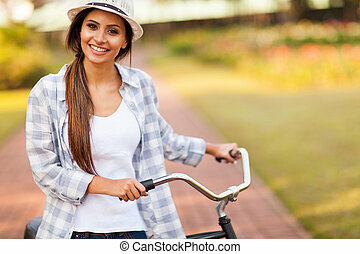 young and beautiful asian woman riding bicycle outddors in park at sunset, smiling and cheerful, fitness, sport and exercise, healthy life and lifestyle concept. 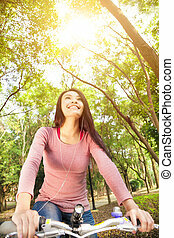 Young woman riding a bike in the forest at sunset. 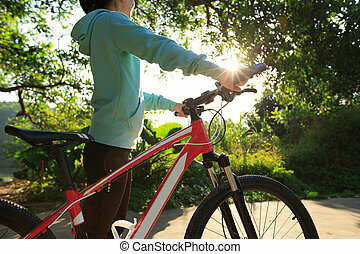 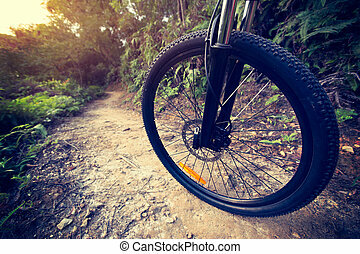 Young biker woman riding a bike in the forest at sunset. 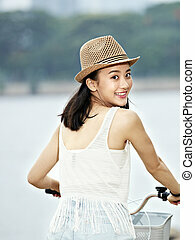 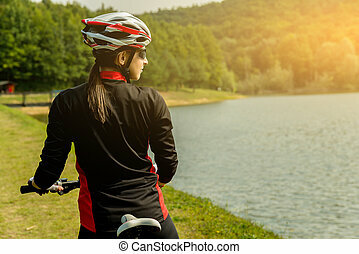 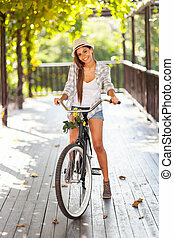 Young woman riding a bike at a beautiful lake. 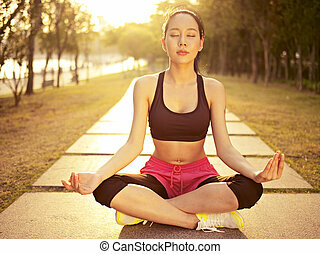 young and beautiful asian woman practicing yoga outdoors in park in the warm light of sunset, meditation, fitness, healthy life and lifestyle concept. 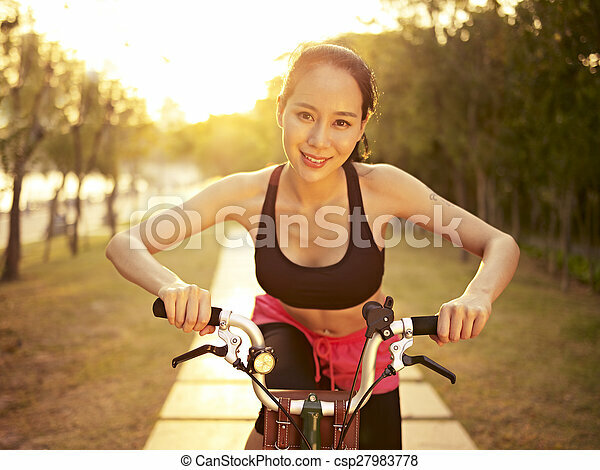 young and fit asian woman running jogging outdoors in park at sunset, fitness, sport and exercise, healthy life and lifestyle concept. 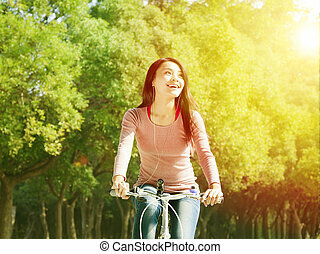 young asian woman sitting on grass using tablet computer in a park. 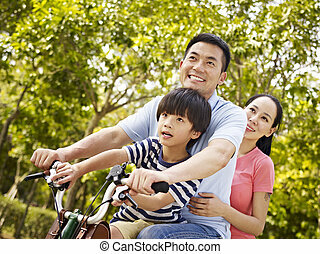 mother father and son riding a bicycle together outdoors in a city park. 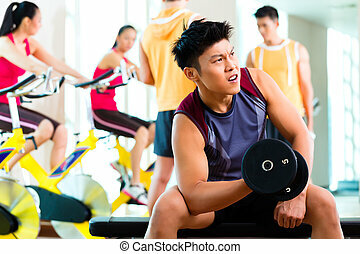 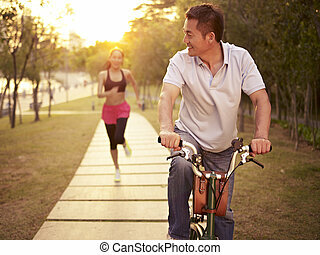 asian businesswoman puzzled and baffled at male colleague's behavior. 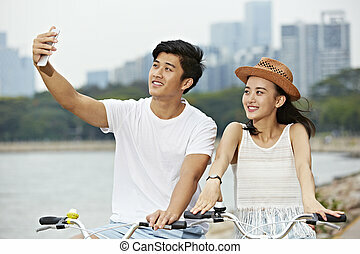 young asian couple holding hands walking in park. 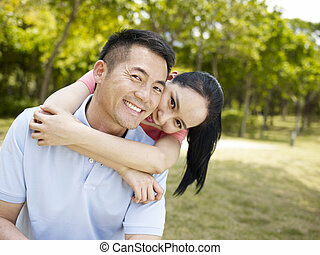 portrait of an asian couple in park, smiling and cheerful. 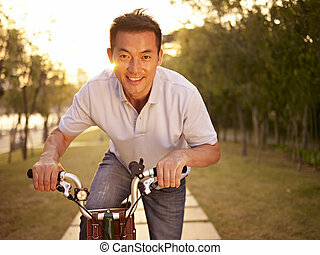 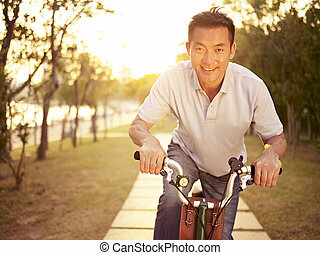 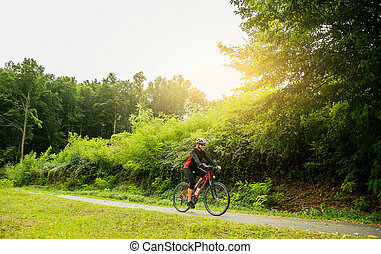 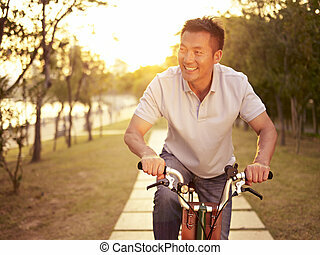 mid-adult asian man riding bicycle outdoors at sunset, smiling and happy, fitness, sport and exercise, healthy life and lifestyle concept. 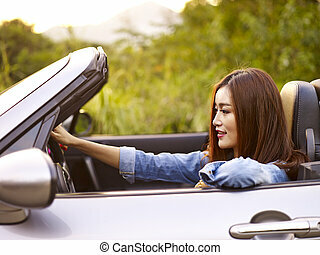 young asian woman riding in a convertible sport car at sunset. 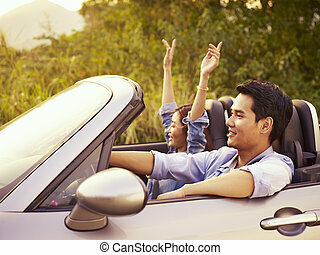 young asian couple riding in a convertible sport car at sunset. 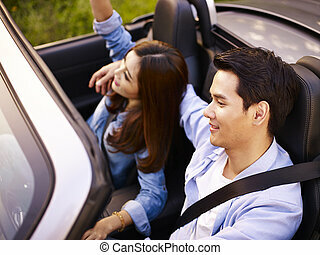 young asian couple riding in a convertible sport car at sunset, high angle view. 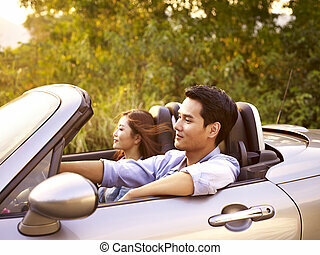 young asian couple riding in a convertible sport car enjoying the cool breeze at sunset. 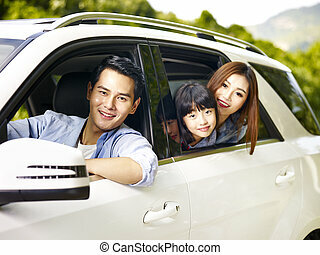 happy asian family traveling by car looking at camera smiling. 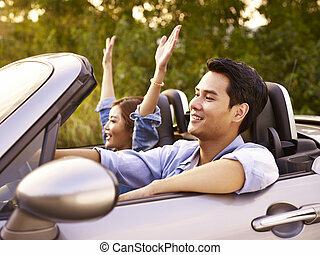 young asian mother and daughter sticking their heads out of rear window while riding in a car.